Is There a Way to Reverse Grey Hair? What is oxygen facial therapy? What are lunchtime aesthetic treatments? What is a Waterjet Facial? What is Non-invasive skin lightening? Coolsculpting Singapore – Are You Suitable? 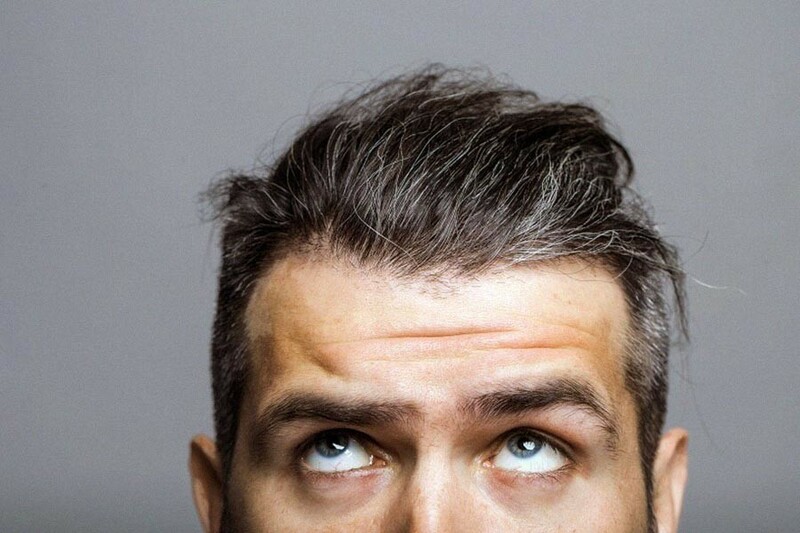 You are at:Home»Recommended Reading»Is There a Way to Reverse Grey Hair? There are two types of people – those who accept white hair and those who, after a certain age, fear looking in the mirror. Having a head full of silver strands is no longer distinguished, though. Recent trends show it is rather the new norm, as hundreds of people are dying their hair grey on purpose. But if this isn’t your cup of tea, then you might want to check out this post on how to reverse grey hair. Has science discovered a new cure? Or are we in for a lot of waiting? Stick around to find out. The reason is twofold. First, it’s that the production of an enzyme called catalase decreases with age. When this happens, it stops melanin from forming, resulting in less pigmented tresses. Second, scientists recently found out hair cells are responsible for naturally creating hydrogen peroxide. However, deficiency of catalase prevents the follicles from breaking down the chemical, so it gradually builds up into the skin. As a result, it turns our hair grey rather than make us blonde. Scientists are now hoping to find a way to deliver the genes that hair follicles require to stay well-pigmented or to come up with a topical compound to reverse grey hair. But that’s not all. Ethnicity and race have a lot to do with the onset of the greying process. If you are white, alas, you have the short end of the stick. According to science, white people tend to get their first silver hairs early in life, at around 35. By contrast, Asians and African-Americans are predisposed to grey after the age of 40. Lastly, we should not forget that our lifestyles play a role too. 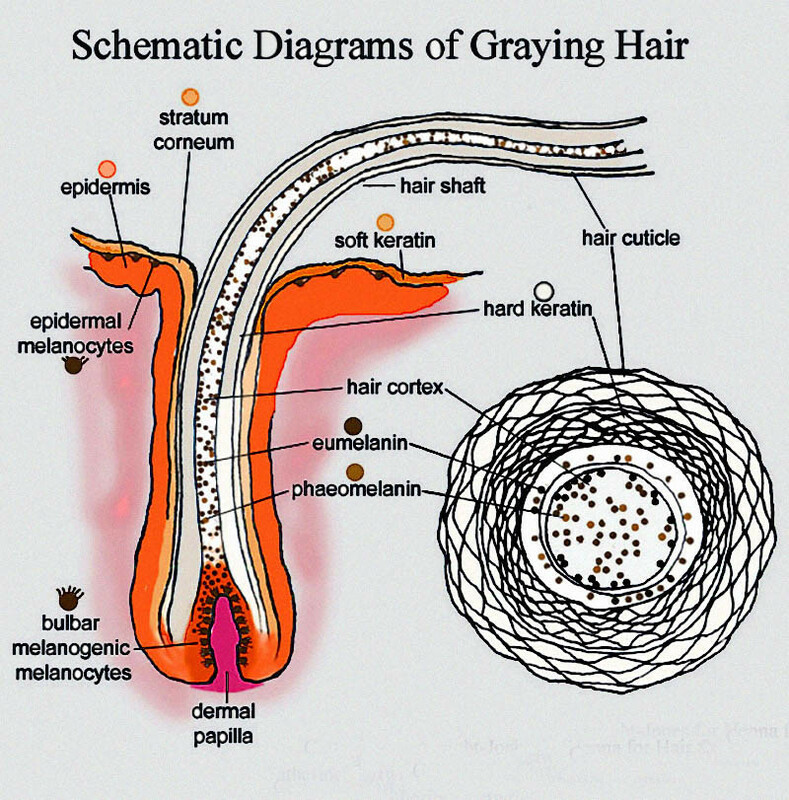 Poor nutrition and stress could be at fault for hair loss and, from there, premature greying. 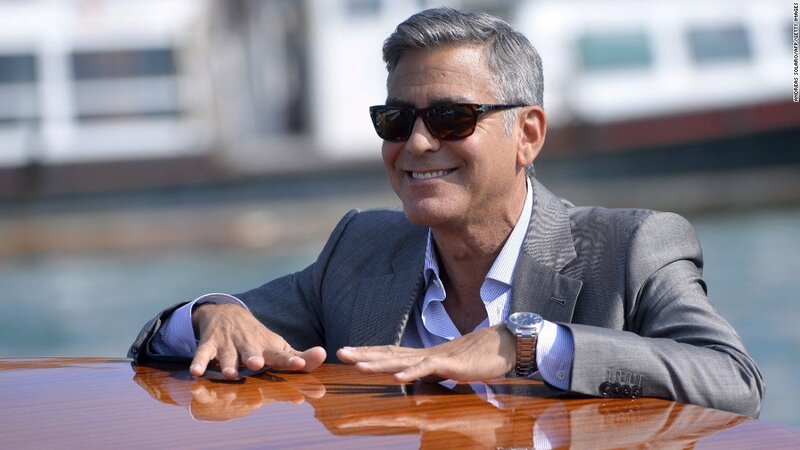 How Do You Reverse Grey Hair? That’s the thing, you can’t. At least not to this day. We’re sorry we have to break it to you, but it’s genes. If your mother and father went grey in their 30s, it is possible that the same will happen to you. Sadly enough, there is nothing you can do about it. At least you can’t reverse the process. This is how Mother Nature created us. On the other hand, if your parents had a small amount of grey hairs on their heads when they turned 50, you can at least expect to enjoy well-pigmented locks until later in life. Okay, while you can’t do much about grey hair, there are ways in which you can prevent it from turning white prematurely. You know, slow the process rather than stop it. These remedies will not do the wonders you hope for, but they are good for your health anyway, so it won’t hurt to try them out. Supplementing. The first grey hair remedy to put on your list is a bottle of micronutrients. Your mane, just like your body, needs a handful of vitamins and minerals to stay in good shape. You need B12, B6, calcium, folic acid, copper and Omega-3s to have smooth and shiny locks. Protein is another important ingredient. In case you don’t remember, your tresses are largely made of protein. This is the reason why so many hair products on the market contain the structural component in question. However, treating your hair to a protein via shampoos and masks isn’t enough. Supplementing with it is also vital. Lifestyle changes. While taking vitamins and minerals straight from a bottle is okay, it is also crucial to have a well-balanced diet, fraught with carbohydrates, fats, and proteins. A strong immune system will ward off diseases and possible problems with your mane. Any deficiencies you have may impact how your hair grows, so you need to rule out these first. Coconut oil. 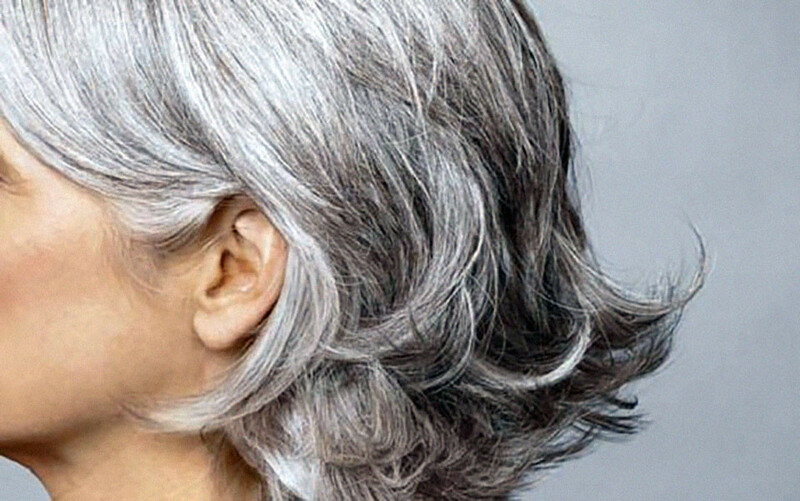 This is another grey hair remedy that can help your locks maintain their original colour until much later in life. Slathering on coconut oil and keeping it on for half an hour will nurture the follicles. There are two great things about this product. First, it possesses low molecular weight, which makes penetration easy. Second, it contains caprylic and capric acids. Those act like disinfectants and antioxidants. Smoking. There is a well-known myth circling around that smokers get grey hair sooner than non-smokers. Guess what? Of all the crazy things they say about hair, this one happens to be true. In 2013, researchers discovered a link between greying before the age of 30 and smoking. Now is the time to get rid of the nasty habit. Note: All of these remedies are good for your body and, as an added bonus, they may positively affect your mane. But it is naïve to assume they will reverse grey hair and alleviate your woes once and for all. It is vital to come to terms with the fact that we all get old, and that brings about a number of changes. You have grey hair, so what? You’re not the only person on the planet whose strands are losing their vitality. Embrace it. Own it. External beauty is short-lived. Whether we like it or not, this is all part of our life journeys. It’s a natural process. There are two options: wear your hair gracefully or whine about it. Luckily, today the market is abundant in chemical dyes that mask the lack of pigment. They come in different colours and are affordable. So, if you don’t like seeing grey when you look in the mirror, buy one of these packets to stop the salt and pepper days. Besides, times are different now. The stigma around white hair, particularly for women, might be coming to an end. White is no longer perceived as bad. On the contrary, it is a sought-after end result and a sign of maturity and wisdom. All that matters is how you cope with it: do you own it or do you try to cover it up?